This 613 sq. 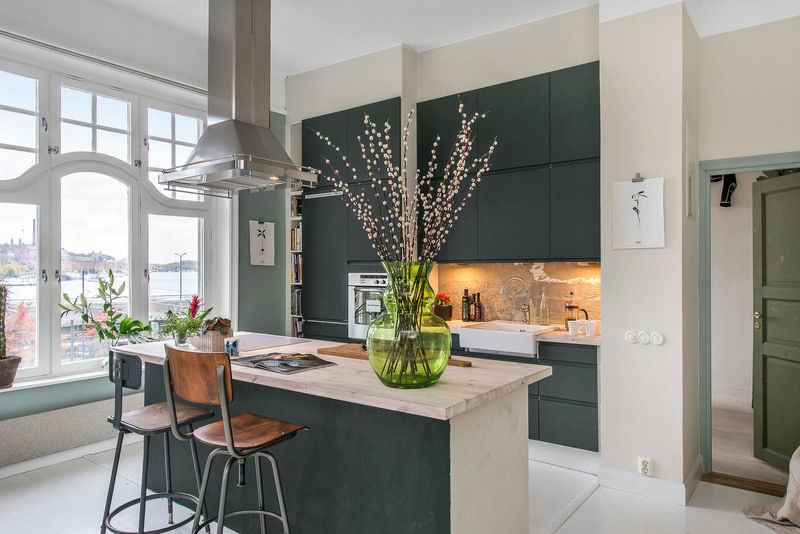 ft. renovated one-bedroom apartment in Stockholm, Sweden has a spacious feel and harmonious modern decor. 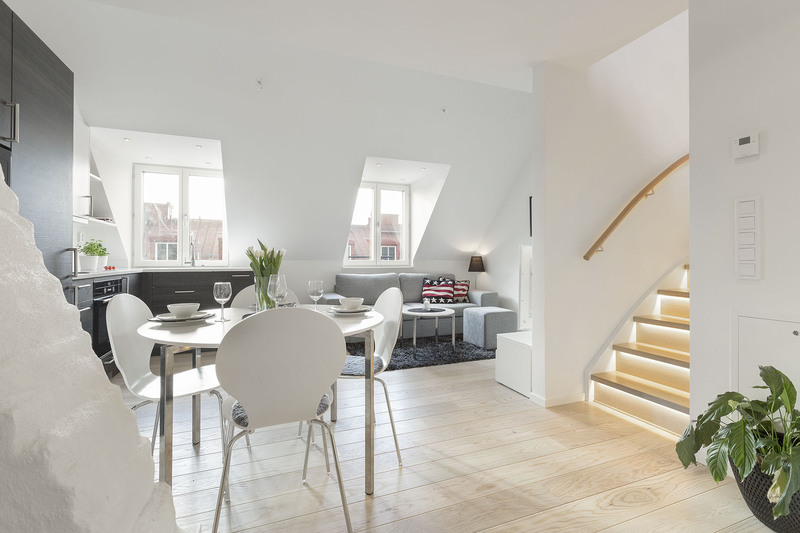 This renovated modern attic apartment in Stockholm, Sweden is located in a historical building originally constructed in 1885. 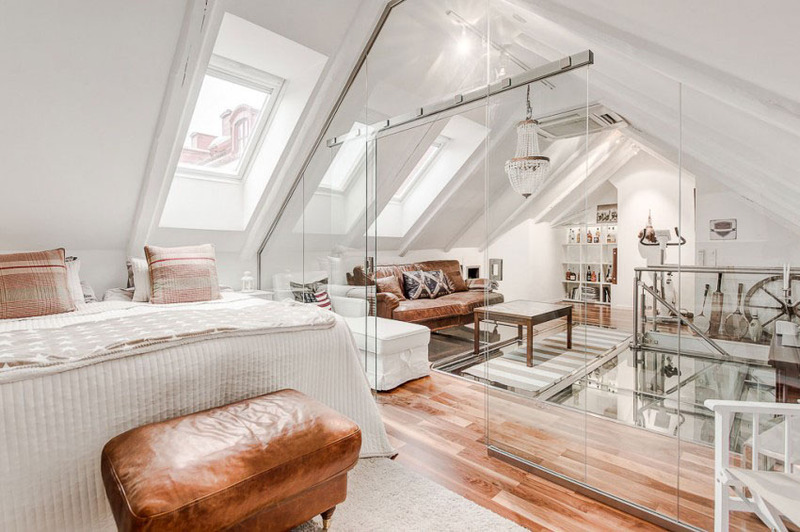 The old wood beams have been preserved, providing the apartment with an attractive personality. A round attic window in the corner adds another distinct element. This renovated 476 sq. 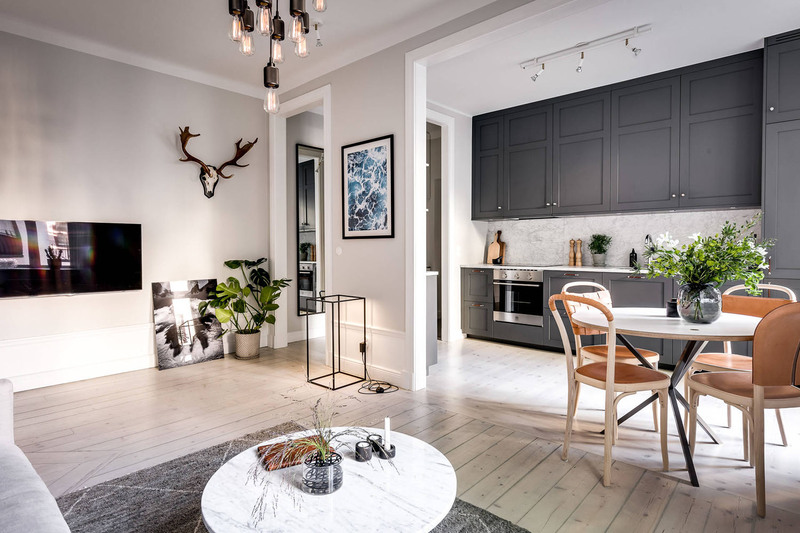 ft. studio apartment in Stockholm, Sweden has an efficient layout that makes it feel spacious. 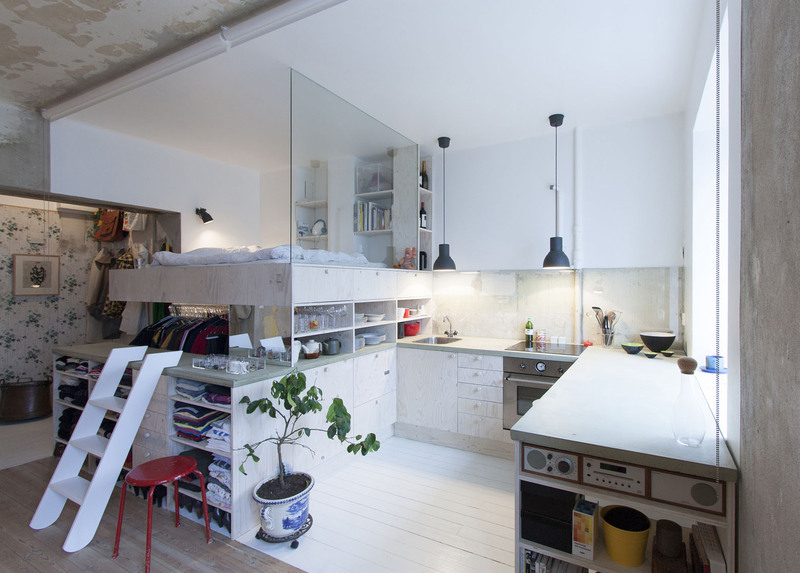 This tiny 36 sqm (388 sq. 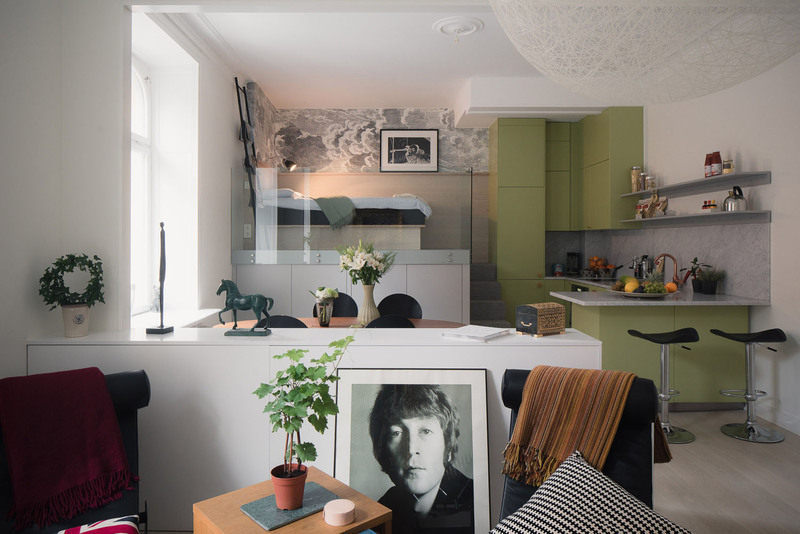 ft.) studio apartment in Stockholm, Sweden was once used as furniture storage space. The goal of the transformation into an apartment by architect Karin Matz was to make the space light and keep the cost low. 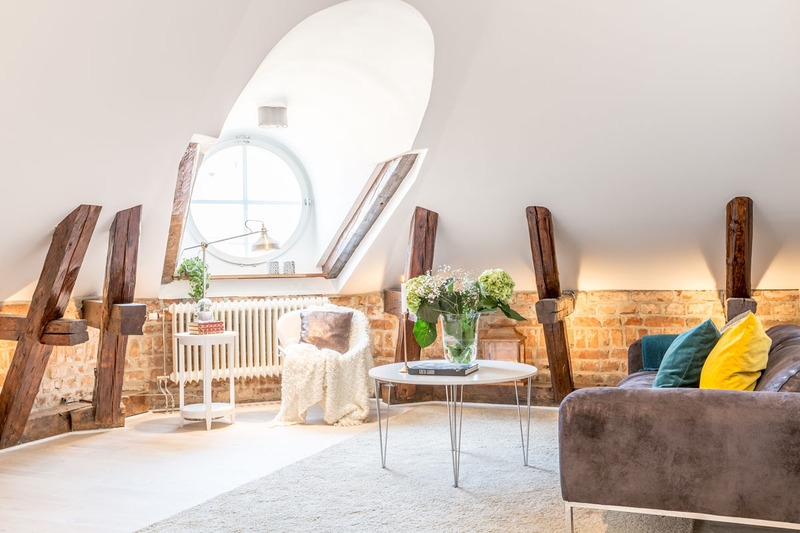 This charming renovated loft apartment in the Vasastan district of Stockholm, Sweden has an unique attractive design that makes perfect use of its attic location. 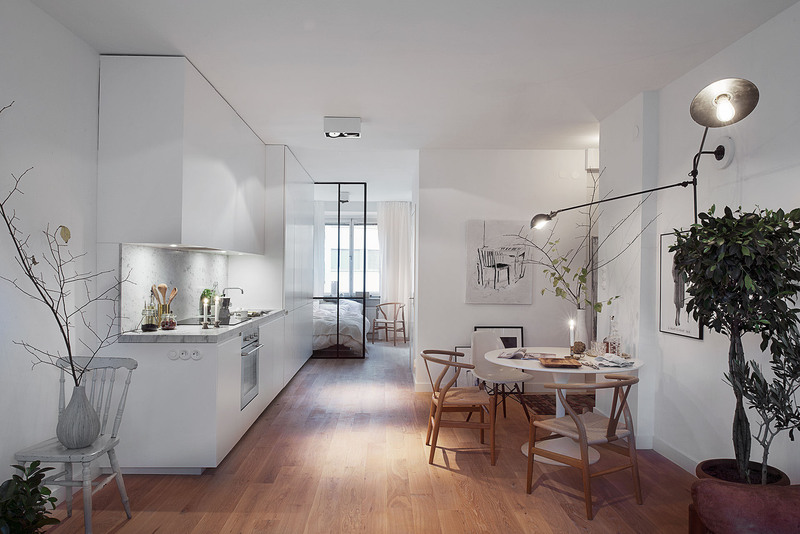 The combination of light wood floors and white walls provide an elegantly fresh ambiance.